Magistrate S.K. Kadurumba directed that they should be remanded in prison while the matter was adjourned till September 3. 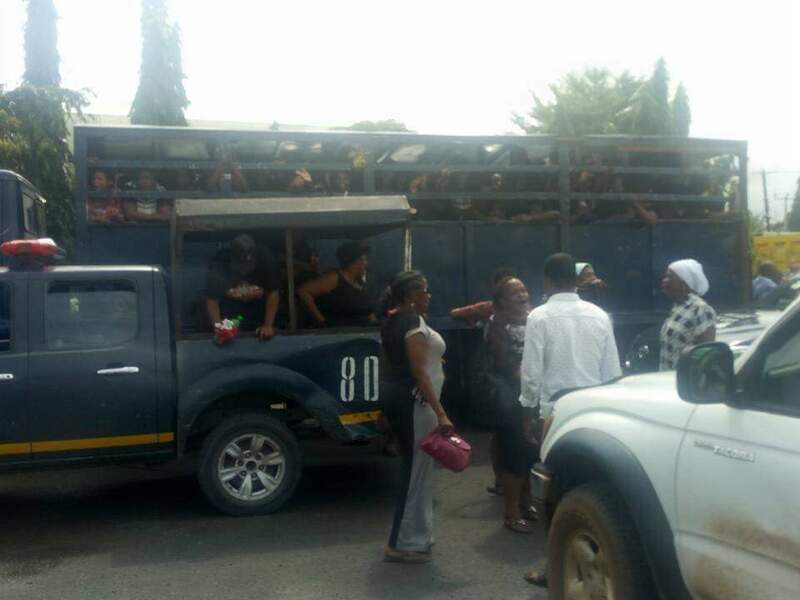 An Owerri magistrate’s court has ordered that 114 pro-Biafra women who were arrested by operatives of the Imo State Police Command during a peaceful protest last Friday be remanded in prison. 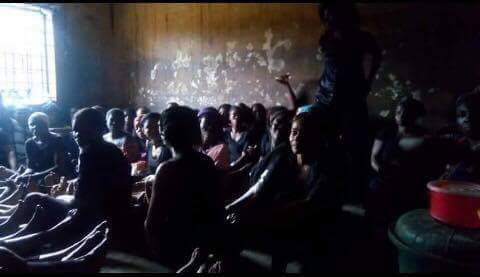 The women, who were suspected to be members of the proscribed Indigenous Peoples of Biafra (IPOB) were charged with conspiracy to commit felony by the Imo State police commissioner. Magistrate S.K. 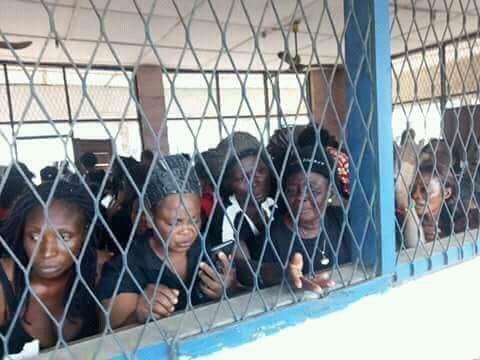 Kadurumba, who gave the order yesterday, said the court did not have the jurisdiction to grant them bail on the offence for which they were charged and directed that they should be remanded in prison while the matter was adjourned till September 3. 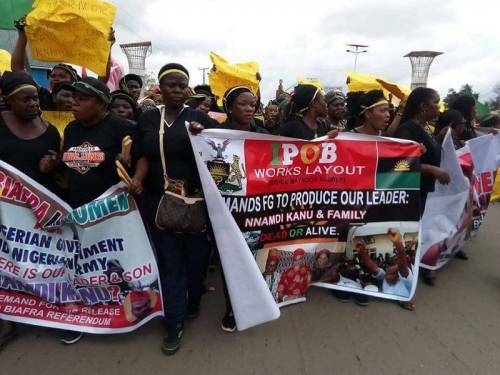 Ifeanyi Ejiofor, lead counsel for the IPOB women, said: “We had come to the court today to take the arrested women on bail so that they could be coming to the court from their respective homes whenever the case comes up. But the magistrate said that they were charged for conspiracy to commit felony, CAP 41 of the Criminal Code, and that she lacks the jurisdiction to try the matter and then adjourned the case for September 3, 2018, and ordered that they be remanded in the police custody. It is Revolution with the Sword. It is Revolution with the Sword under the natives Disintegrated Republics- Biafra Republic of south east, Niger Delta Republic of south south, Oduduwa Republic of south west, North East Republic, North West Republic, North Central Republic. The war front is Sokoto- the last bastion of fulani fraudulent criminal sultanate political government with its emirates and their brainwashed terrorism mercenaries nickname military, police etc. controlled by British bandits and fraudulent criminal America with their fraudulent criminal UN of 20th century world international order. It is Revolutionary Militant Groups- RMG etc. formation which its members are the new military, police etc. under the natives Disintegrated Republics. Slaughter the last enemy in Sokoto. Slaughter the last fulani in Sokoto. Slaughter the last enemy’s brainwashed terrorism mercenaries nickname military, police etc. in Sokoto. Slaughter the criminal tout nickname sultan in Sokoto, burn down his palace etc. Slaughter every emir in this natives territory of Disintegrated Republics, burn down their palaces etc. Biafra Republic of south east in Disintegrated Republics of the natives is only with the Sword in this final conquest of the Liberation Revolutionary Warfare of the natives which is the conquest of Sokoto which has begun. God given Victory is the natives. Only the Sword decides. God Is With Us!! !